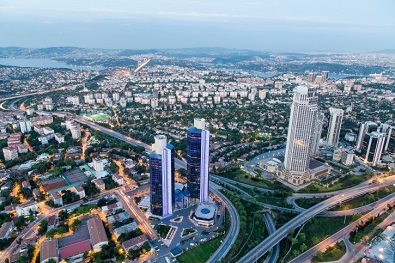 After an encouraging year for foreign investment in its real estate sector, Turkey's government is set to boost the market further through the introduction of a new 'Help to Buy' scheme in a bid to stimulate domestic buying and support construction. Turkish home buyers are currently able to take out mortgages worth a maximum 75% of their property value, having to pay the remaining 25% out of pocket. The new state incentive will ease some of the burden on raising equity for first-time buyers. Statistics show that despite Turkish home sales slowing slightly last year, they still rose to a record 1.16 million units. Meanwhile mortgages expanded by 13% in 2014, about half the pace recorded in the previous five years, as financial volatility and interest rates pushing double-digits hampered demand. William Jackson of Capital Economics in London said: "This policy is geared up towards boosting popularity and economic growth ahead of the election. In so far as it causes house prices to rise there will be a wealth effect which might lead to a pickup in consumer spending. By boosting demand for properties it could lead to a rise in construction output". According to the Turkish Statistical Institute TurkStat, foreign buyers purchased 18,959 housing units in Turkey during the first 11 months of 2014, an increase of 55.6% year-on-year, contributing €3.3bn to the economy. In an attempt to bring domestic property sales more in line with purchases in its investment market, Turkish authorities will contribute 15% towards the deposit for first-time buyers. The measures form part of a reform package that the government says will help return Turkey's €724bn economy to a faster and more sustainable pace of recovery, amid weakening domestic demand. A push to boost home ownership in Turkey would support heavy construction during the last few years, generating refreshed domestic demand and injecting buoyancy in its property market. Ahmet Davutoğlu, Turkey's Prime Minister said: "Construction is one of the locomotive industries of our economy. This rise in demand will also relieve the building industry". International property investors have been snapping up properties in Turkey's major population and tourist hubs, capitalising on still heavily-discounted prices and rising levels of demand. However, total home sales rose by less than 1% last year, after jumping by an average 24% annually from 2009 to 2013, when monetary easing by central banks worldwide flooded emerging markets like Turkey with cheap cash. In 2014, Antalya was the first preferred location for 34.5% of foreign property buyers acquiring in Turkey, followed by the country's historical metropolis Istanbul, with 29.4%. Investment in buy-to-let apartments in Istanbul's up and coming suburbs proved the biggest driver of growth in real estate in 2014. With demand for properties at the higher-end remaining consistent due to their appeal to foreign buyers, Tukey's 'Help to Buy' program should provide sufficient support at the lower end to stimulate more balanced and sustainable growth in the market and reduce its housing inventory. Istanbul has seen its population expanding consistently over the past few years, bringing with it an increased demand for homes within commutable distance to the bustling city. 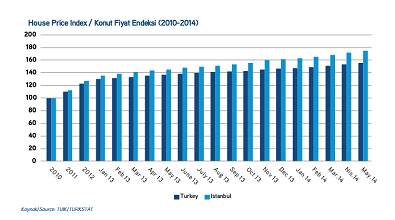 In addition, business travel has risen on the back of Istanbul's commercial expansion, creating a new demand for short-term accommodation. In response, 2014 saw the rise of an alternative type of accommodation, particularly in Istanbul – serviced apartments – set to become a key investment area for 2015. This type of accommodation consists of apartments that offer a more convenient and homely kind of accommodation than regular hotel rooms, mainly for longer term tourists or business visitors. In contrast to hotel rooms, rented apartments offer separate living and sleeping areas as well as fully-equipped kitchens and bathrooms. The range of services offered differs according to guests' requirements, prices are offered at discounted prices in promotions directed at specific professional groups offering reductions for longer stays, etc. 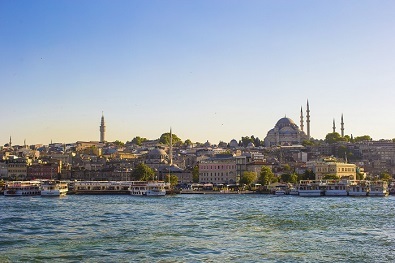 Big brand names including Kempinski, Fairmont and Viceroy are planning to offer serviced accommodation in Istanbul as forecasts predict further growth in business tourism during 2015. With the Turkish government's strong commitment to infrastructure development to support growing tourism and in turn, real estate, the fundamentals for Istanbul's property market are excellent for potential investment returns.